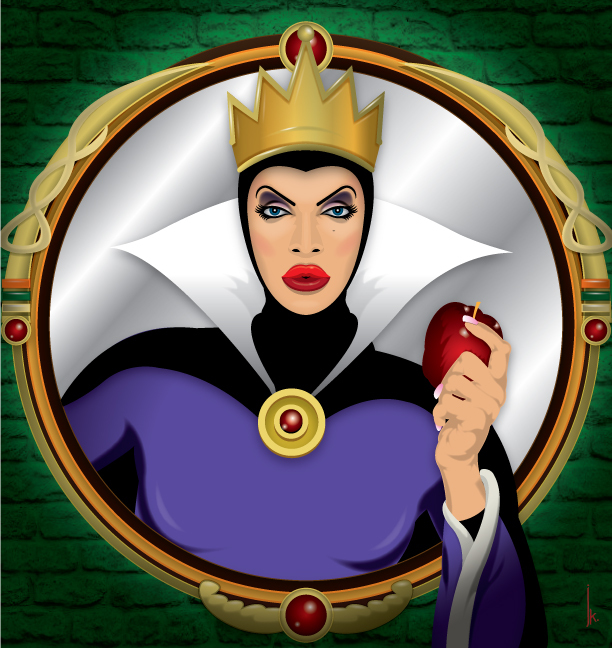 Series of illustrations combining popular contestants from RuPaul's Drag Race and classic female Disney villainesses. Sharon Needles Channeling Maleficent - Sharon Needles (RPDR S4 winner) as Sleeping Beauty's Maleficent. 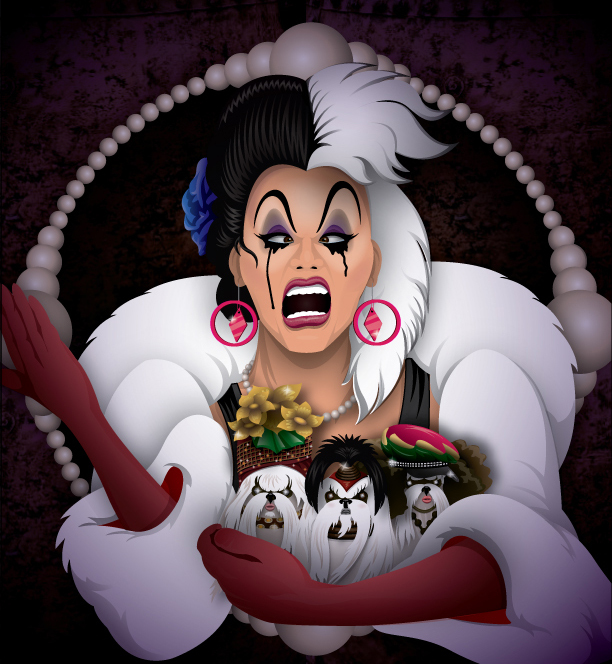 Designer Shih Tzus - Manila Luzon (RPDR S3 runner-up) as 101 Dalmatians' Cruela De Vil. 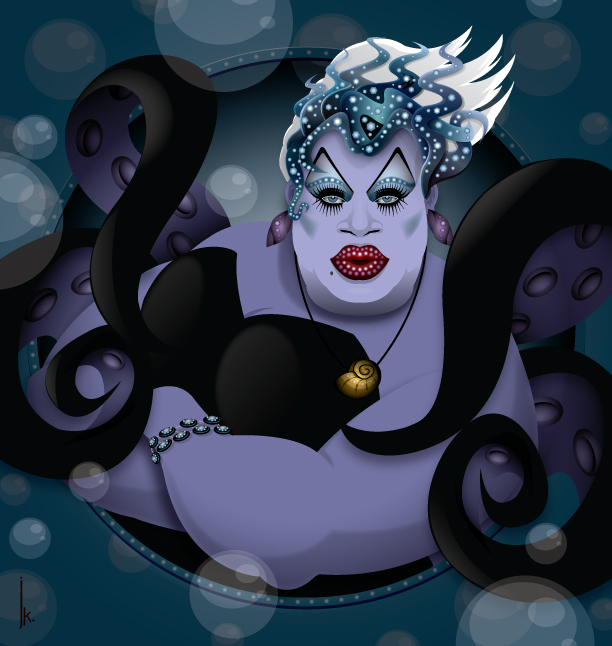 UrsuLatrice Royale - Latrice Royale (RPDR S4 miss congeniality) as The Little Mermaid's Ursula the Sea Witch. 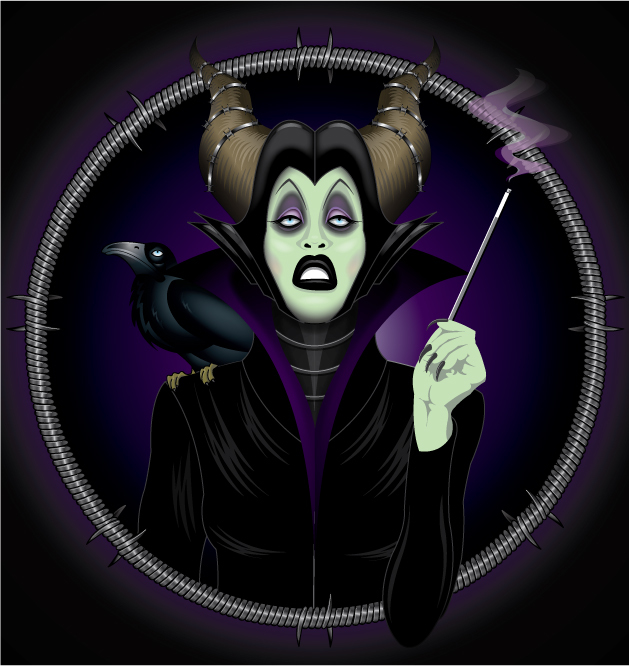 Raven the Wicked Queen - Raven (RPDR S2 & All Stars runner-up) as Snow White's Wicked Queen. 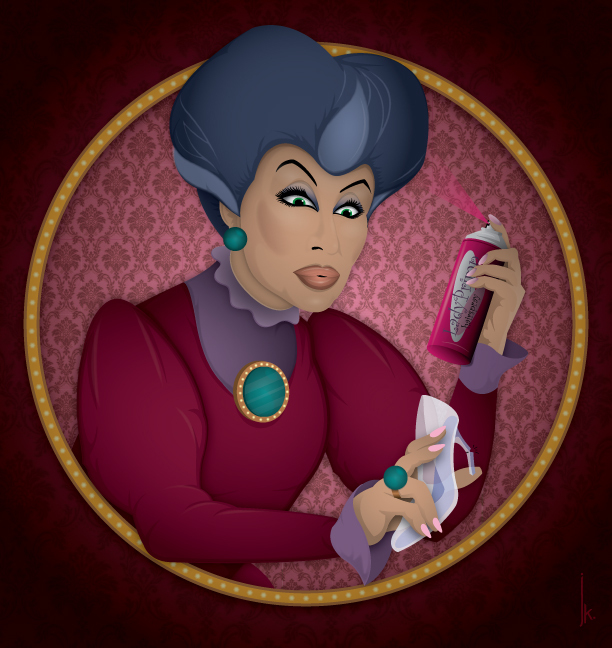 Ladyprimp Tremaine - Chad Michaels (RPDR S4 runner-up and All Stars winner) as Cinderella's flawless stepmother. Jiggly de los Corazones - Jiggly Caliente (RPDR S4 contestant) as Alice in Wonderland's Queen of Hearts. Yzma Sofia - Yara Sofia (RPDR S3 miss congeniality) as The Emperor's New Groove's Yzma. It's a very neat thing to meet your muse...4 times. Thanks Spin!